This article originally appeared in the January/February 2013 issue of Foodie News, brought to you by the Public Relations Department of the American Farm Bureau Federation. Freekeh, the newest grain-based product to hit the specialty food shelves, is catching the eye of consumers. But like many trends cropping up, freekeh is not as new as you would think. Freekeh, an Aramaic term meaning “to rub,” has been around for close to 3,000 years, according to Thomasina Nista, executive vice president and CEO of Freekehlicious. 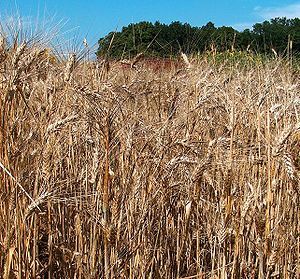 The process was discovered when a Middle Eastern village came under fire and its wheat crop was damaged. The once-green crop was rubbed off the char and then cooked, creating freekeh. The rice-like dish has four times the fiber of brown rice and is also high in protein, calcium and prebiotic properties that are important for fueling the growth of healthy bacteria. Freekeh has a low Glycemic Index, which is important to diabetics. It is also low in carbohydrates. Nista said freekeh is a very versatile dish. Her company offers two different products, whole grain and cracked, with preparation times ranging from 20 minutes to 45 minutes. She added storing it is the best part. Many people enjoy freekeh as a breakfast food, including kids, as it is served similar to oatmeal and can be topped with items such as honey, nuts and fruit. And because it is a resistant starch, Nista explained it keeps you fuller longer. She added that she enjoys preparing it with vegetables. “I just went and bought broccoli rabe and I’ll cook up the broccoli rabe with garlic and oil and then I’ll just sprinkle in the freekeh. So no matter what vegetable I’m making, I just sprinkle it in and it just adds to it,” said Nista. April 3 is the Whole Grains Council’s Sampling Day and Nista encourages consumers interested in trying freekeh to take part. Freekeh is available online from Freekehlicious and at Whole Foods. This entry was posted in Focus on Agriculture, Food Facts and tagged American Farm Bureau Federation, Cereal, Durum, durum wheat, Fill Your Plate, FoodieCast, Freekeh, Glycemic Index, Middle East, Wheat, Whole Foods. Bookmark the permalink.